Plant-derived capsule, magnesium stearate and cellulose. 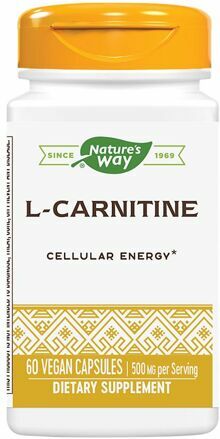 l-Carnitine is an amino acid requiredto transport fatty acids into the mitochondira of the cells for energy production. It is also a key nutrient for energy production in the heart and skeletal muscles of the body. 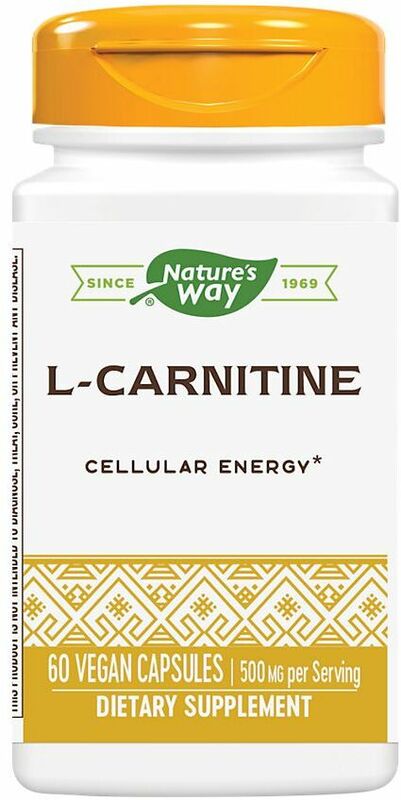 Nature's Way L-carnitine provides the highest potency without altering the free-form of L-Carnitine. Other Ingredients: Plant-Derived Capsule, magnesium Stearate, Cellulose. Consult your healthcare professional before taking this product if you are pregnant, lactating or if you have a seizure disorder.